We are sorry that you are considering a cancellation! Before moving forward with this, please consider contacting our support, there might be still something we could do to help. If you still wish to cancel your subscription, please let us know via the ‘Please delete my account’ option. You will find this button in the ‘Account settings’ when you scroll down. Important Note: Datamolino is a post paid service. 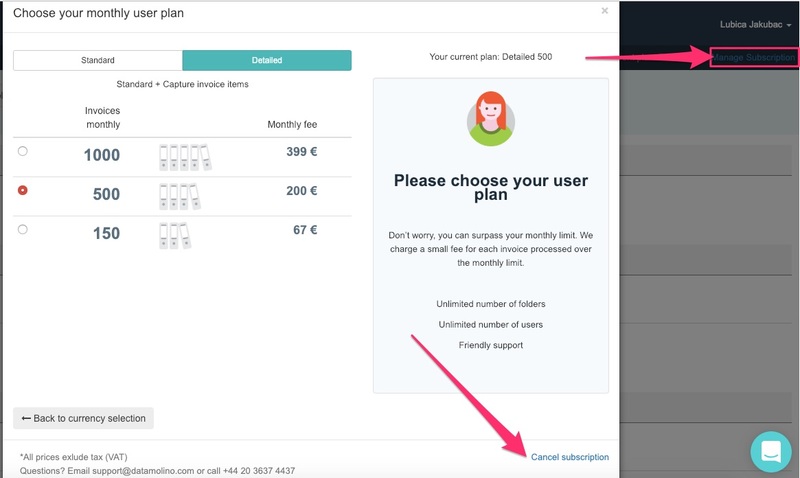 If you cancel your account, you will receive one last invoice at the end of your current billing cycle. After the last invoice is issued, you still have one more month to back your data (via ‘Export to file’ -> ‘Original files’). After one month, we will delete your account.